Next year, in April, there is this new Malaysian horror movie coming to disturb horror movie fans. It is an independent movie made by a couple who are avid movie fans. This is their first feature movie project and they need a little bit of support. Synopsis: After a car accident Zach Valavan (Nakkeeran Parry) wakes up from a coma and returns home to his loving wife Olivia (Olivia Smith). Zach soon gets trapped into this mysterious world where supernatural things start happening around him. This is where the real horror begins. The uncanny feeling Zach experiences is something more than just a human fear of something unknown. The protagonist is facing a physical and psychological entrapment which is caused by anxiety and fear of non-being. What is the non-being? Is it just his imagination? Will Zach be able to escape from this entrapment? The answers will be revealed on 28th of April, 2014. 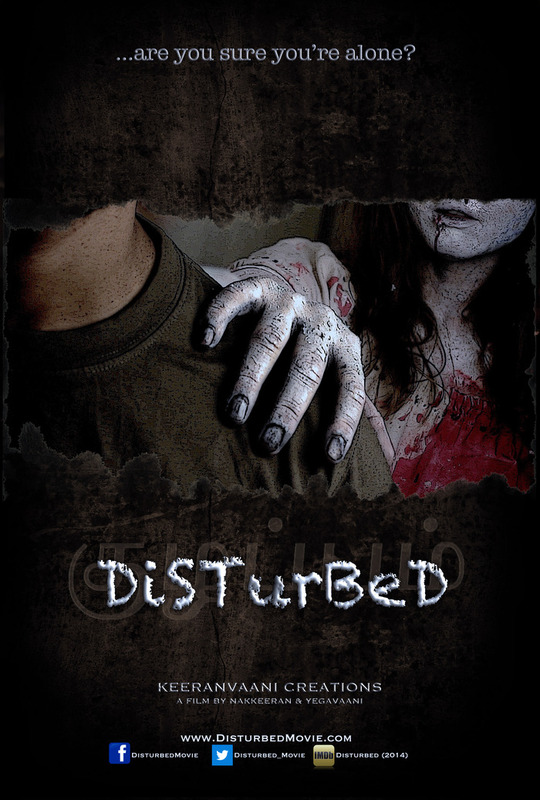 If you like what you see in the teaser below, You can get more info on Disturbed and support them on their Kickstarter page here.